North Myrtle Beach offers a fantastic stretch of pristine beaches with over six miles of wide, sandy beaches for you to enjoy. 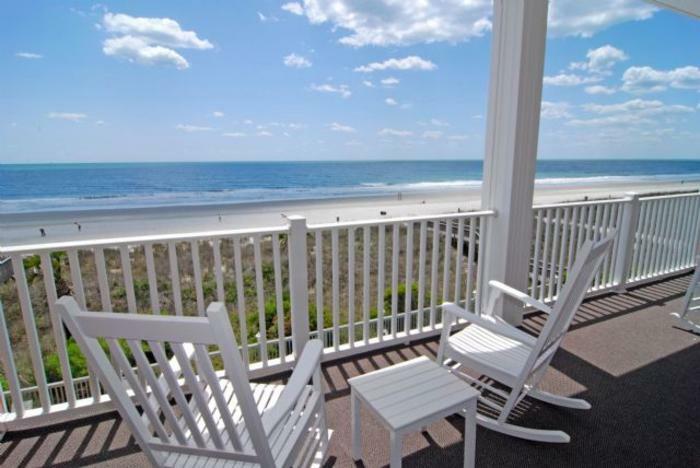 Whether you choose Cherry Grove, Ocean Drive, Crescent Beach or Windy Hill, they are sure to please. The beaches are well suited for relaxing as well as playing so they accommodate everyone! North Myrtle Beach offers a wide array of housing options as well as a myriad of oceanfront resorts and condos, golf, great shopping, dining and entertainment. Considered by most to be the more upscale, classy and family beach, its family atmosphere is unparalleled. The Ocean Drive or “OD” section has been a vacation tradition since the 50’s and is still rocking today with its early rock, blues, soul and the “shag” dance. Dancing in the sand back then to the sounds of the Drifters and “Under The Boardwalk” created the fun in the sun vision that still remains today. The Shag Dancers of the well known SOS, Shagging On The Strand, return every few months to relive the old times with all the places in OD like Fat Harold’s and Ducks. You’ll love the atmosphere and feel of North Myrtle Beach, whether you are vacationing or fortunate to call it home!!! Questions? Contact us today for information on buying or selling a home in the North Myrtle Beach area or along the Grand Strand or to schedule a tour of any property you find on this site. Call, text or email us, 843-222-8566.